Calling all Prosecco lovers! 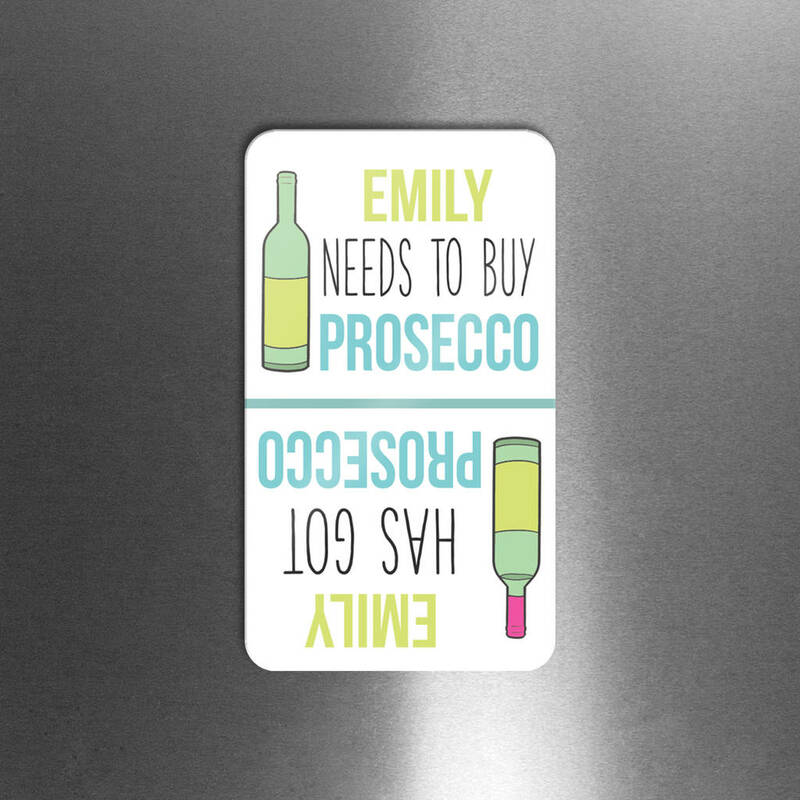 Never be without Prosecco again thanks to this Prosecco flip fridge magnet! This personalised fridge magnet is the perfect gift all Prosecco drinkers. 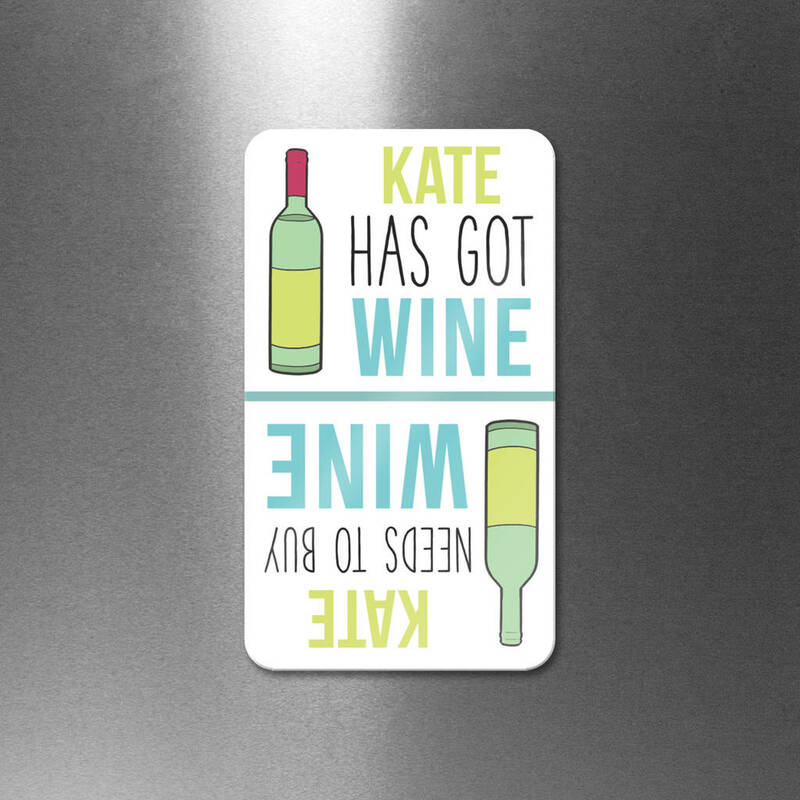 Simply turn the magnet to read 'Got Prosecco' featuring a full bottle or 'Need to buy Prosecco' with an empty bottle. Also available with Gin, Beer, Wine, Champagne, Vodka, Teqand Whiskey print. 1.1mm White gloss aluminium with strip magnet on the reverse.